I just read “Unbroken.” It is based on the true story of Louie Zamperini, a WW II veteran who was also a POW in Japan. I loved how Louie entered World War II being a young, bombardier over the Pacific Ocean. I loved how he was a little hoodlum in Torrance, California who became an Olympic runner. He is one of the few people alive today who can say he shook hands with Adolf Hitler. The subtitle to the book is “A Story of Survival, Resilience and Redemption.” It is really a worthwhile read. And, once again– I missed my Dad. I missed being able to ask him if he had heard of Louie. I missed asking him if he could now talk to me about his days in Germany during World War II. One of the only times in my life Dad got frustrated with me was when I said, “You were in World War II, Dad? How cool! !” Whhhooooo-Wheeee!! He got really frustrated with me really quickly. I think it was after Dad died, and the taps played, that Mom told me about the nightmares he came home with. She told me about the twin brothers he was stationed in Germany with. One was blown up right in front of the other one. She told me how Dad came home and screamed during some nights until she told him, “Doran! You have to let this out! You have to talk about what happened.” Dad told mom about what happened. He never discussed it with anyone else that I knew of. He met once a year with his World War II veteran friends. I remember him saying he didn’t always enjoy those meetings. I saw my Dad get frustrated and express his anger to me maybe three times in my entire life. War was one thing I learned at about 16 years of age he did not think was fun at all. I wear my Dad’s wedding ring today. I’ve worn it for 22 years now. I wear it on my middle finger – right next to my wedding ring. It reminds me of his love. When I’m stressed out, I twirl Dad’s ring on my finger. I thank God my Dad’s love can never be taken away from me. Robert Doran David was my hero. There won’t be a book or movie written about him. Nevertheless, he was a hero! 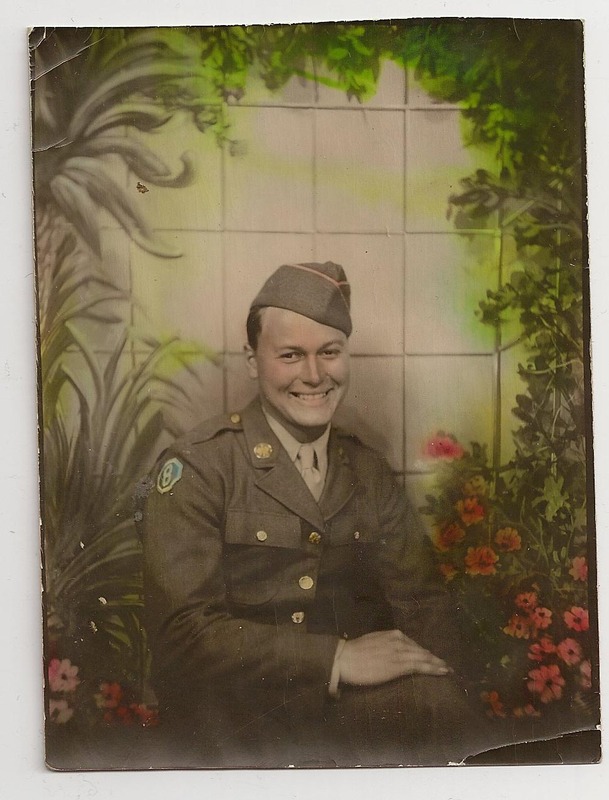 This entry was posted in The Past Connection and tagged Dad, daughter, Father, heroes, Kate Pieper, LMFT, love, war, WWII, zamperini. Bookmark the permalink. Aw, now you made me go and miss my dad, the finest guy that ever walked the face o’ the earth. Miss Kate, we were blessed to have men we could call “Dad” in our lives. Now let me go get a tissue. Thanks for the memories. You were blessed with a wonderful father Kate! Seriously blessed! Very sweet memories!